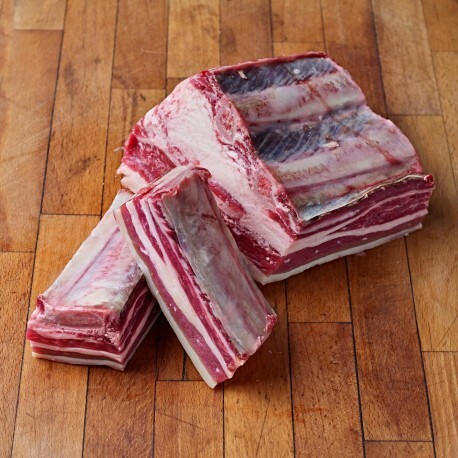 Beef Short Ribs - £8.50 per Kg Beef Short ribs are great for either slow cooking or marinading for the barbecue or smoker. Traditionally called the Jacobs ladder, there are 8-10 ribs which weigh 3 - 4 kg in total depending on the size of the carcass. If you'd like a particular number of rib boes-ie. 1 per person, please write this in the comments box at the end of the ordering process., but as a guide 2kg is 3 actual ribs. When raw the steak smells very nice and well-matured. Cooked it smells beautifully beefy! 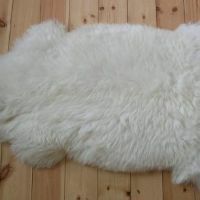 It looks very appealing, the fat is lovely and creamy, the flesh is a good colour and the skin has been nicely removed from the bone... Its texture is spot-on; soft, juicy and a pleasure to eat.